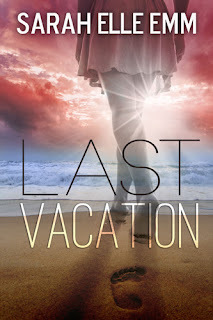 I am happy to share the interview of Sarah, the author of latest suspense 'Last Vacation'. 1. Hi Sarah, read your earlier harmony run series, which is a dystopian fantasy. The current book 'The Last Vacation' looks like a thriller. Which genre do you like to write? I like to read and write in both dystopian and suspense. I prefer the freedom of writing fantasy and dystopian because I can make my own rules in the world I create, but I like the challenge of writing suspense. 2. I know, it's very difficult to build the plot without giving any clue till the end to make it a suspense. How do you start and organize your thoughts when writing a novel? I try to make a timeline and slowly fill in the events. I like to start with the big picture and build from there. So I might start with writing down some of the major plot points or themes. I write down anything that comes to mind throughout the process, from where a character was born to which ending would fit the story best. 3. Other than writing, what hobbies do you enjoy? How would you love to spend your free time? When I am not writing, I love to read, take photographs outdoors, and hang out with my family. If I had more free time, I’d probably sleep. But then again, I’d probably end up writing more if I had actual free time. 4. Which travel destination do you like on any day to travel and relax? I’ve lived in thirteen cities, within the U.S.A. and internationally, since I graduated from the university in 2001. My family goes out of town often, so if I could go anywhere to relax, I would go to my mother’s house in Indiana. I’d visit with my grandmother and mother, read, and take a lot of naps. I know…I am boring. But there is nothing like being home. 5. Did you ever face writer's block? If so, How did you come out of it? Sure, I’ve been there. When I am stuck and can’t figure out where my story is going or where to begin, I write poetry. It takes my mind in a different direction and gives me a moment to regroup. I also like to read in a variety of genres, especially if I am in a writing funk. Reading other stories helps me relax and refresh. Thanks for taking time out in replying to my questions.